As a couple, you may have the combined funds or borrowing power to acquire a property, but just because you can does not mean you should! You must compare you and your partner’s plans for the future, as well as your individual earning potential and any savings you are bringing to the table. Buying a property may seem achievable, but it is still a major purchase– it can have financial consequences for decades to come. Keep reading for Heritage Law’s guide for unmarried couples buying property together. You and your partner might have found your dream home, but are you prepared to pay for monthly utilities and upkeep? Also, experienced homeowners know that emergencies never choose a convenient time to happen! Simply adding your incomes together and comparing it to a mortgage payment calculator is not enough. Married couples are often used to compromising with one another, so be sure your partnership is strong enough to withstand the stress and complications that come with property ownership. 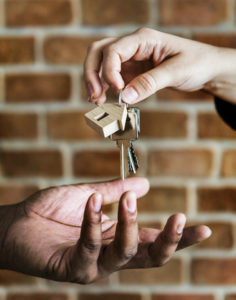 If you break up, the ratio of who made the down payment usually determines how the property’s value will be dispersed. If you helped make mortgage payments or contributed to renovations, you may have to seek legal aid to recoup these costs. In a legal marriage, each spouse is protected and is entitled to a share of the couple’s assets after divorce. Common-law couples may be given some consideration, but it is more difficult for an unmarried partner to assert their claim. Alternatively, if you jointly took out a loan to purchase the property– you could be held responsible if your co-signer defaults on repayment. Not unlike a prenuptial contract or other legal documents, a well-drafted cohabitation agreement can save a lot of stress down the line. It is not pleasant to think your relationship will not last, but preparing for the worst can actually help add stability to a committed partnership. Any qualified legal professional can help write a cohabitation agreement, but it is up to you how you want to proceed after a split. Contracts are not limited to protecting one side: you could choose to retain your investments or you could even provide for the individual who contributed less financially. As you can see, there are serious financial and even legal considerations for unmarried couples buying property together. Contact or visit Heritage Law today for a comprehensive, customized cohabitation agreement backed by our decades of experience.